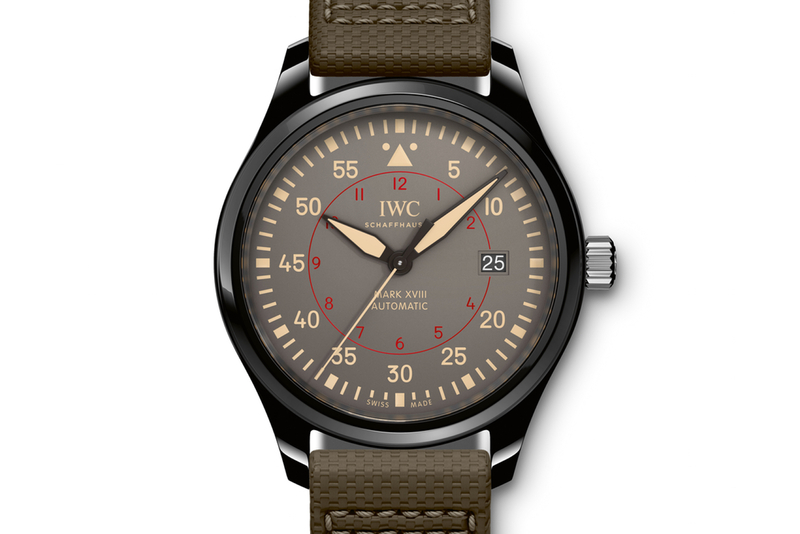 First introduced in 2012, the Top Gun Miramar line has become a staple within the IWC Pilot’s collection. 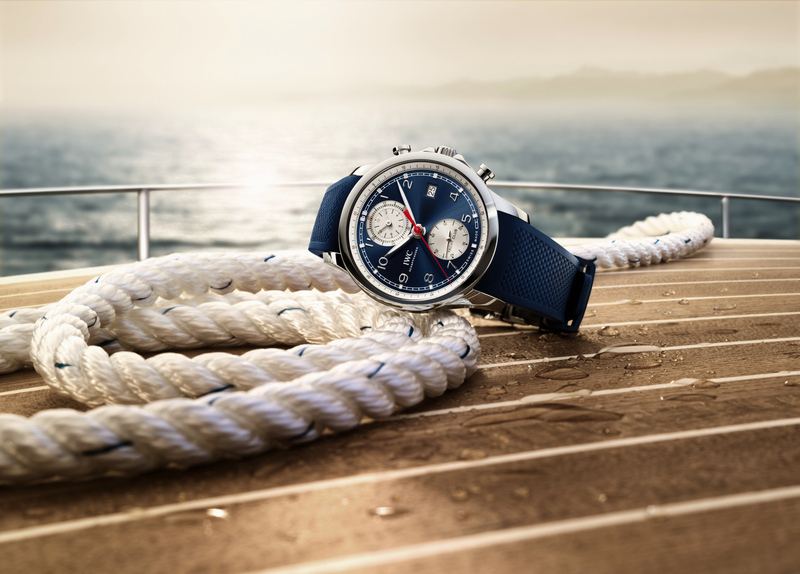 This year, in addition to updated versions of the existing models being introduced, there is an all new Mark XVIII Top Gun Miramar timepiece at the entry-level. All new to the Mark XVIII collection is a fully polished 41 mm ceramic case. The size and look are great, and it is safe to say these will sell well. However, we would like to see a matte ceramic case option as well. Nevertheless, purists have been asking for smaller diameter watches, and IWC has delivered. Like the original Top Gun Miramar models, minutes and seconds are read off the main chapter ring, and hours are shown on the inner chapter ring, in red. 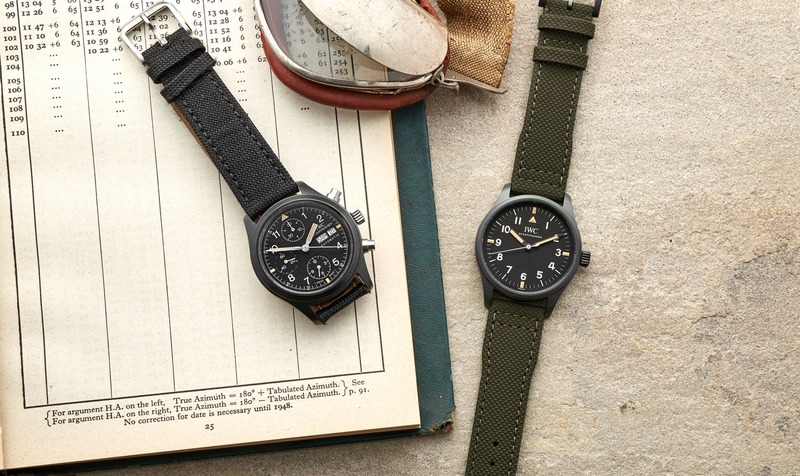 The military/aviation inspired dial design historically focused on minutes and seconds, which was was crucial to Pilots on long flights, to determine location, before the existence of the high-tech aviation tools used today. One of the details that further enhance the Top Gun offerings for 2016, is a sporty embossed green calfskin strap. The Mark 11 was originally supplied with a green nylon NATO strap, and this is IWC’s way of offering a hard-wearing strap, similar to a NATO, without sacrificing the high-end appeal of leather. Afterall, even at the entry-level, these are still expensive timepieces. The Pilot’s Watch Mark XVIII Top Gun Miramar (Ref. 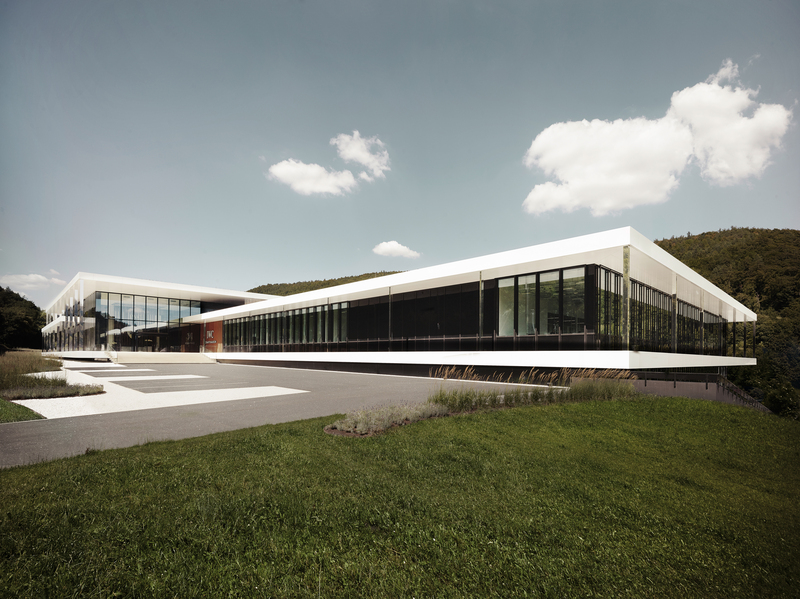 IW324702) is powered by automatic caliber 30110, which has a power reserve of 42 hours. Water-resistance is 60 meters and the movement is shielded against magnetism. The retail price is $5400.